Laser treatments effectively address skin conditions that have the tendency to make skin look dull, lifeless, and much older. The effects of laser treatments in Kent produce dramatic results that visibly improve the appearance of the skin – and provide long lasting improvement in the overall appearance of the patient. The Erbium YAG Laser is a clinically proven laser procedure for skin resurfacing, and also for the successful management of scars and wrinkles. The gentle treatment provided by the Erbium YAG Laser guarantees minimal discomfort and a quick recovery period for the patient; this laser treatment works its magic with the removal of layer upon layer of skin. The damaged layers of skin that are removed will then be replaced by the new skin which will look a lot better than the old (removed) skin layers. The Erbium YAG Laser works by producing energy in the mid infrared invisible light spectrum, which is 10-15 times more efficiently absorbed by water in the skin compared to the energy emitted by CO2 lasers. The laser energy instantly vaporizes skin and tissue in a very precise manner, while leaving surrounding skin unharmed and hardly affected. The instant vaporization action by the Erbium YAG Laser makes it a cold laser, since no burning of the skin upon contact is created; because of this, the pain or discomfort that the patient may experience is greatly reduced, compared to other laser treatments. The healing process after the Erbium YAG Laser treatment may last for one to two weeks (depending on the area that was treated), making it ideal for patients who prefer not to have a very long recovery period away from their normal activities. 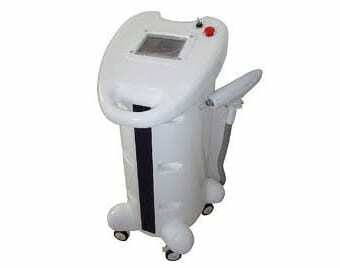 Depending on the specific area (and the specific skin condition) that needs to be treated with the Erbium YAG Laser, the patient may be given topical or local anaesthesia, or even a mild sedative, to ensure that no discomfort will be experienced during the entire Erbium YAG Laser procedure. The discomfort that is associated with the Erbium YAG Laser treatment is usually very minor – during the actual procedure, and also during the recovery phase after the treatment has been finished. After the actual laser resurfacing with an Erbium YAG Laser treatment, the affected areas may be kept moist with ointment or surgical bandages during the first few days following the procedure. The patient can expect the skin to typically be red or pink, or may even be covered with a fine crust. It is important to avoid sun exposure during the healing period, as treated areas will be extremely sensitive to UV rays. After the healing or recovery phase has been completed, the new skin should be protected with the application of sun block lotions or creams. The skin should be kept free of makeup for about seven to 14 days after the Erbium YAG Laser procedure. The Erbium YAG Laser treatment is guaranteed to bring about visible results to the skin conditions that will be treated. After the procedure, the skin cells are encouraged to regenerate to produce a new layer of skin that looks and feels more youthful. The instant vaporisation action by the Erbium YAG Laser is considered as a “cold” laser, and eliminates any risk of burning the patient’s skin. This feature also makes the entire procedure a lot more comfortable to go through, compared to other laser treatments for skin conditions. The Erbium YAG Laser treatment is an outpatient procedure that can be done in a short period of time (depending on the area that needs to be treated). This translates to a shorter down time for the patient, and a shorter recovery period as well.